Thank you to Exergen for providing me with a product, free of charge, in exchange for my honest review. All thoughts and opinions shared are my own. Hard as it is to believe, B has already missed a day of school. He had to miss a day the first week back, because he came home with the sniffles and a pretty bad cough. His teachers asked parents not to send their kiddos in when they have fevers. B didn't have one this time, but we kept him home to rest and recover. It's so hard to keep little ones well, especially when they're in preschool. Those germs are a flyin', and as much as we keep the germs at bay at home, there's little we can do about it when B is in contact with other children. Checking for fever is important when your kids don't feel well- it can mean the difference between a day at home and a day at the emergency room or urgent care. We've always struggled to receive an accurate temperature reading with B, because he seriously dislikes having his temperature taken. It's hard to get a correct reading when your child is squirming, flailing, throwing a fit, etc. We were given the opportunity to check out the Exergen Temporal Scanner, and I was pretty excited to give it a try. 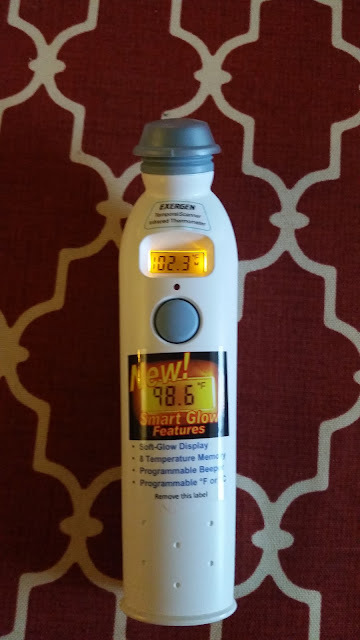 I feel like we've gone through so many different types of thermometers through the years, and have never been able to rely on any of their reading for being truly accurate. Exergen Corporation is the recognized world leader in industrial and medical non-invasive temperature technology. From providing temperature sensors for NASA and various industries to creating one of the world’s most popular baby gifts, Exergen creates non-invasive temperature measurement devices providing lower cost, higher accuracy, less invasiveness, and greater reliability than ever previously possible. 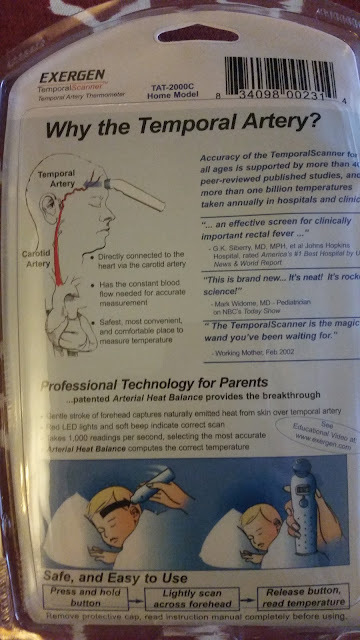 The creator of the first temporal artery thermometer—the Temporal Scanner™, the most efficacious, non-invasive thermometer ever created. Exergen holds over 100 issued and pending U.S. and foreign patents, and is the only manufacturer of retail medical thermometers in the U.S. 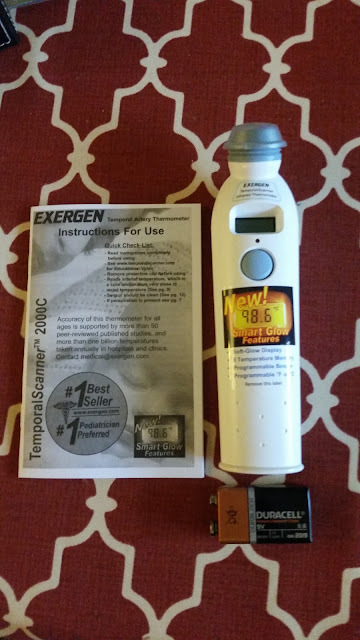 Presently, half of hospitals and pediatricians currently use the Exergen TemporalScanner, and well over 4 million consumers use one at home. Our Exergen Temporal Scanner arrived in clear packaging, so we could see exactly what it was that we'd be using. The back packaging had clear, easy to follow instructions. I was so excited to see that this scanner was going to be a breeze to use. I crossed my fingers that B would cooperate as my test subject. Before we could get started with the test, I needed to first open up the package and get the scanner ready for use. The package contained everything you see here- the scanner, a battery, and instruction manual. I didn't read through the entire manual, but I did a little skimming, and saw that there are instructions which will direct you how to change the settings, the alarms, and you can even switch to Celsius, instead of Fahrenheit. 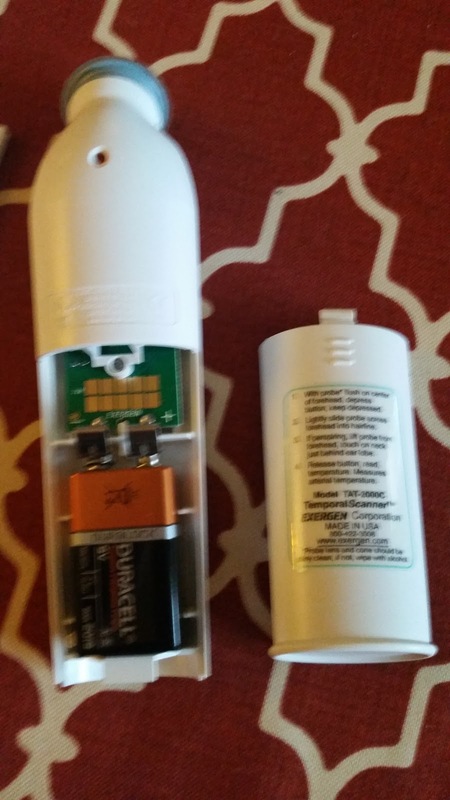 I read over the instructions for use, and then placed the battery into the scanner. This was super simple to do- just open the back up, place the battery in, cover, and you're ready to use your scanner. When I first turned the scanner on, this is what was displayed. The scanner has a cap over the top, which you will need to remove before use, and replace after use. I removed the cap, and followed the instructions for use, testing the scanner on myself, first. I held down the button, and swept the scanner across my forehead, from the middle over to my hair line. As I moved the scanner the beeping went from fast to slow, which meant that it read the warmest, and was ready to be checked. I glaned down at the reading to find that I had a temp. reading of 99.0. I'm pregnant, so I'm not surprised that mine was a bit warm. When I asked B if we could check his temp, he was reluctant at first, but after a quick demonstration on myself, he was tickled, and ready to give it a whirl. We had a successful reading with B, and found that he did not have a fever, which meant that he'd be able to go to school the following school day. This is what the actual scanner looks like. Pretty neat, isn't it? I was thrilled that B didn't put up a fight when it came to needing to check his temperature, and I'm not dreading the next time we need to take it. Since we have a new baby on the way, I know this scanner will come in handy when the little bean is here. 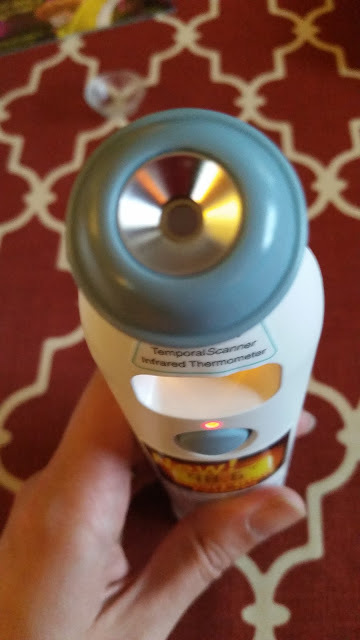 Having sick babies is scary, and I will rest much easier knowing that I can trust this easy to use, acurate temporal scanner! The TemporalScanner Thermometer is a totally non-invasive system with advanced infrared technology providing maximum ease of use with quick, consistently accurate measurements. Advanced, patented technology measures temperatures with a gentle stroke across the forehead. The TemporalScanner Thermometer has been clinically tested for accuracy compared to rectal thermometers and temperature sensors inserted in the heart during course of patient treatment and accepted for use in major hospitals, making it the ideal thermometer for use with newborns, infants, children or adults. The TemporalScanner has patented software, providing arterial heat balance. This unique process determines temperature by accurately measuring the balance between the tissues warming from arterial blood and tissues cooling (warming) caused by heat loss (gain) to the environment. 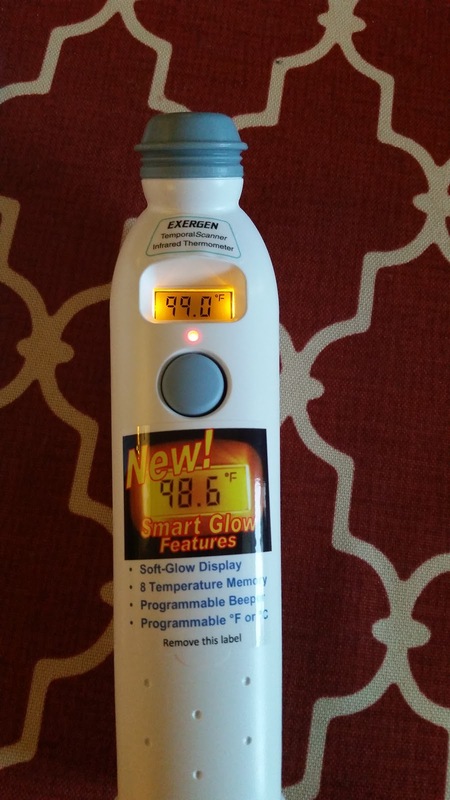 If you're looking for a reliable thermometer for your family, I highly recommend Exergen! You'll love how easy it is to use, and will be so thankful to have a reliable thermometer that you can trust in your home! Head on over to Exergen to learn more about their company, and their product. You can also connect with Exergen on Facebook and Twitter, as well as through the Exergen blog. Look for the Exergen Temporal Scanner at retailers like WalMart, Babies R Us, Toys R Us, and other retailers. The product retails for about $35.00. 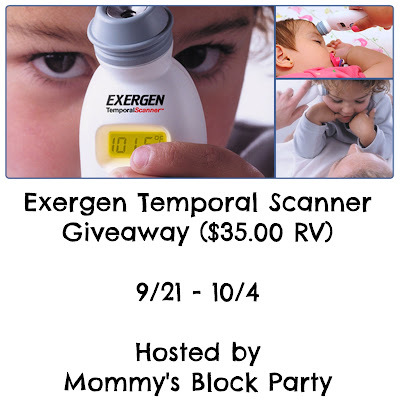 One lucky MBP reader will win their very own Exergen Temporal Scanner- just in time for the cold and flu season! This giveaway is open to US residents, 18 and older- one entrant per household. Use the RC entry form below to enter for your chance to win! MBP is not responsible for prize shipment. Please see our policies page for complete details. Special thanks to Roscia and Exergen for allowing us to share about their wonderful temporal scanner! It has certainly changed the way we feel about taking temperatures at home! Thanks also for offering this wonderful giveaway for our awesome readers! Good luck & stay well! My best friend is expecting next month and I'd love to win this for her! I babysit so this would be perfect to have! I would like to have this for my grandkids. 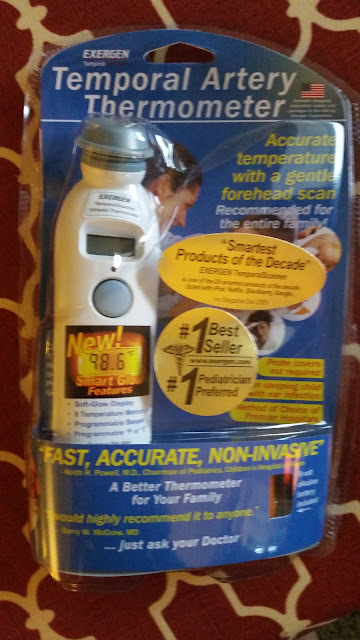 I'd love to win this so I can take temps of the 2 people I am a caregiver for, without awakening them. Great product! It would be great to have an accurate way to take temperatures. I would like to use this on my son when he is sick. I would love to win because it sounds like a very accurate way to get a child's temp. It would be great to have this if I ever needed it. I have read some excellent stuff here. Definitely value bookmarking for revisiting.I used to be able to find good info from your blog posts. It is a pleasure reading it.Thanks a lot for sharing us all.